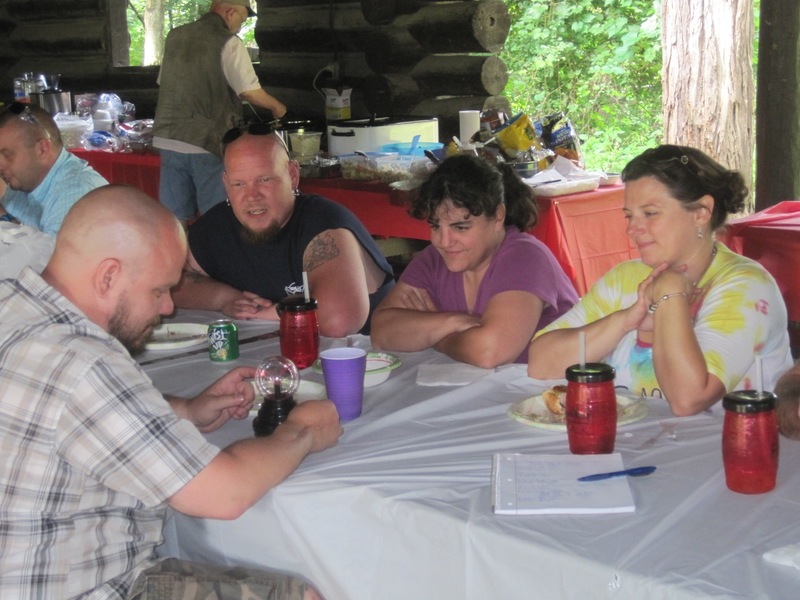 The purpose of this page is to share information and photographs with relatives and descendants of Stillman and Margaret Cook. You are welcome to copy and keep any of the photographs we post! If you have any information or photographs to share, please send it along! 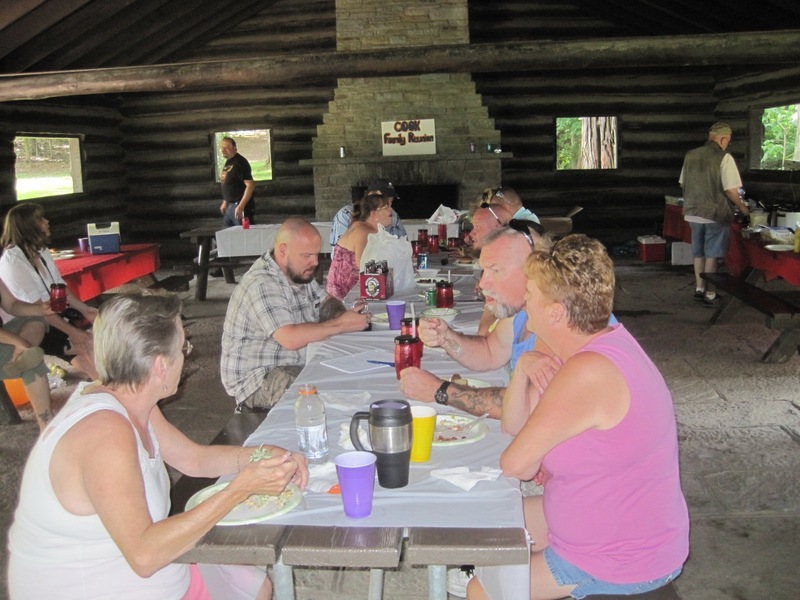 The family of Stillman T. Cook and Margaret Allen Cook gathered for the first time in several years for a family reunion organized by two of Andy Cook's children, Shelley and Tina. 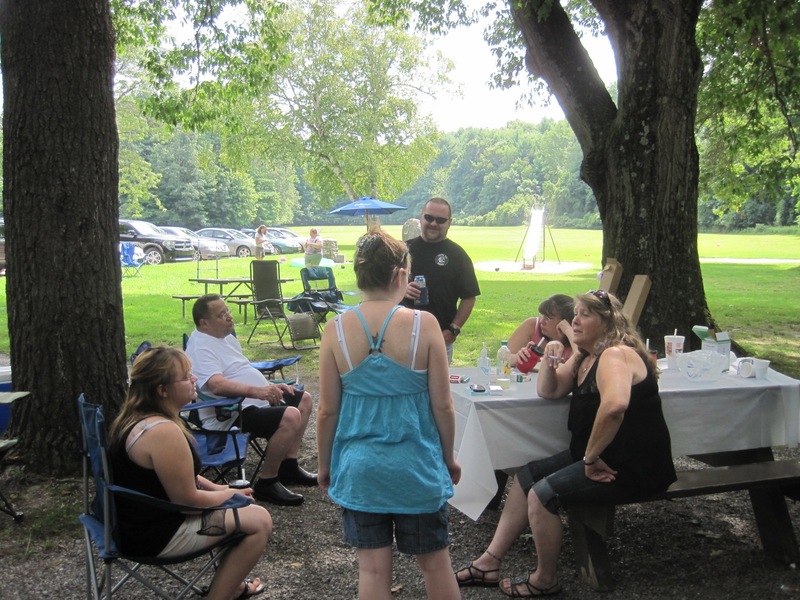 As the photos below showed, it was well attended with lots of good food and memories. 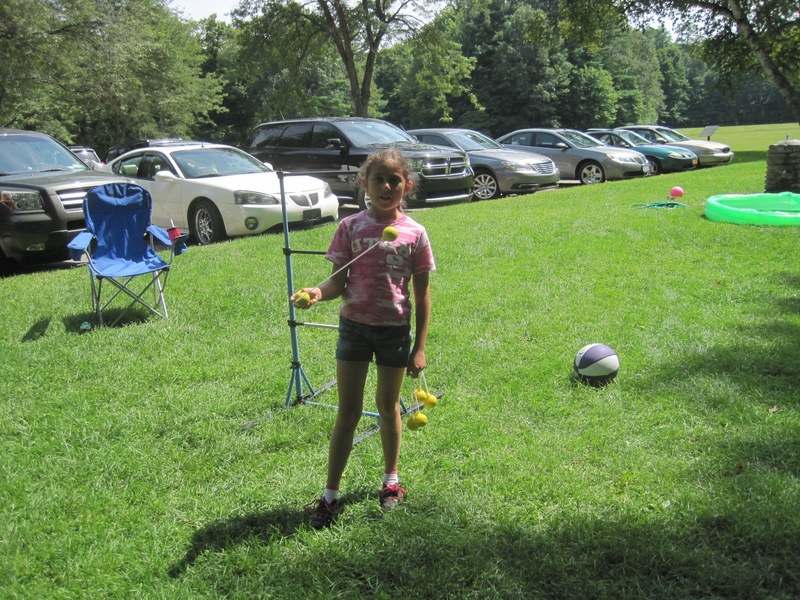 If you have photographs of that day you would like to share, please send them to me at tscook@rochester.rr.com. 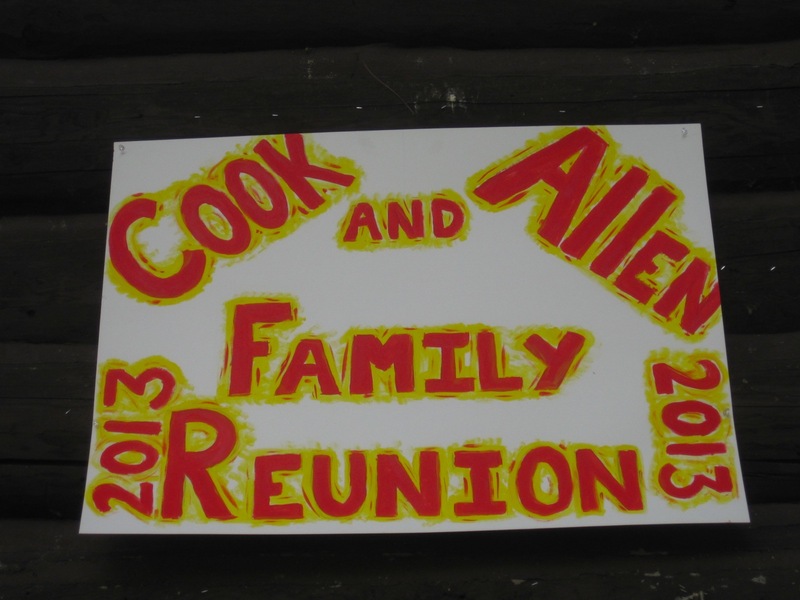 Watch for information about the next Cook Family Reunion to be held in August 2014! 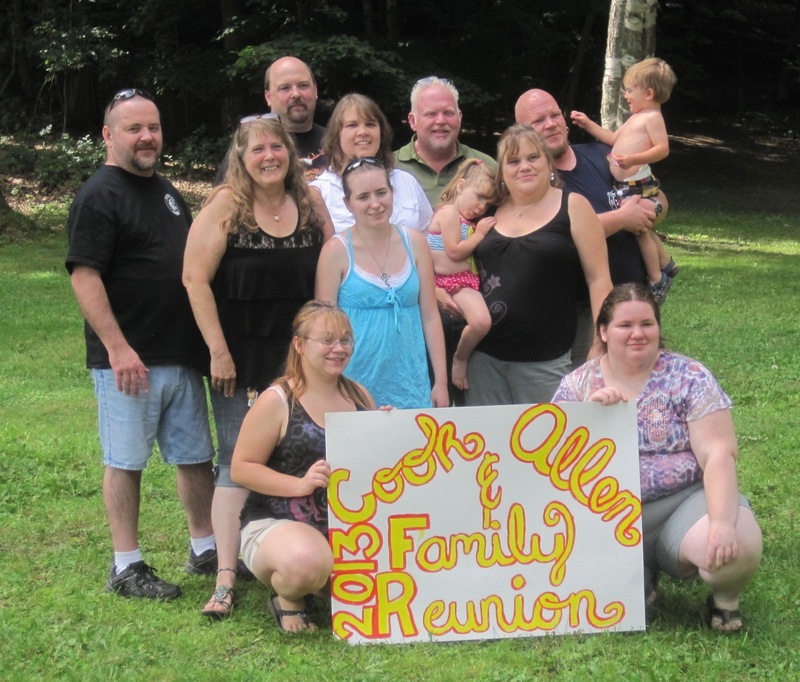 Above: Four generations of the descendants of Stillman and Margaret Cook and their spouses posed together for this group photograph. 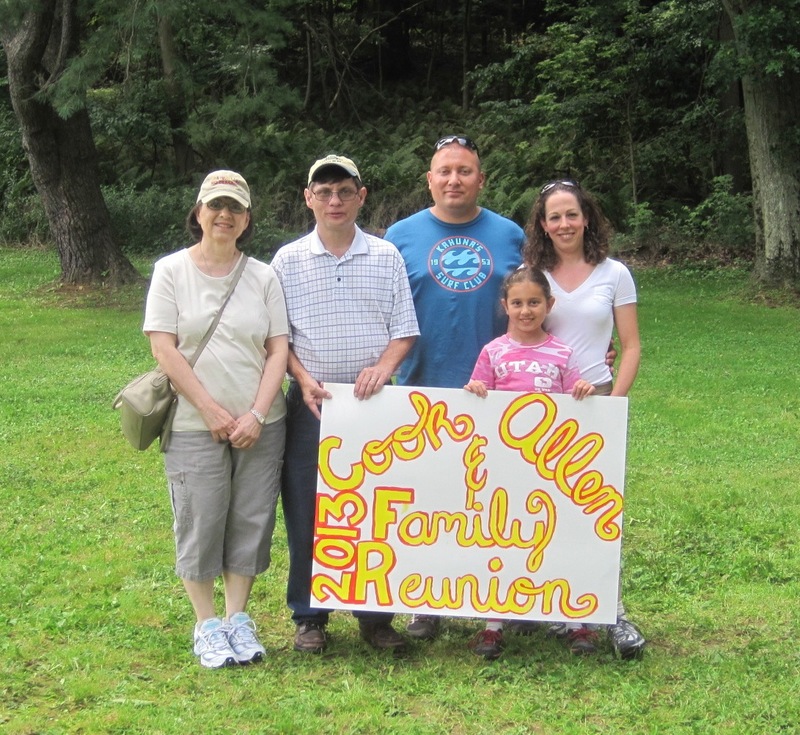 Below: Gary Cook and several of his children and grandchildren. 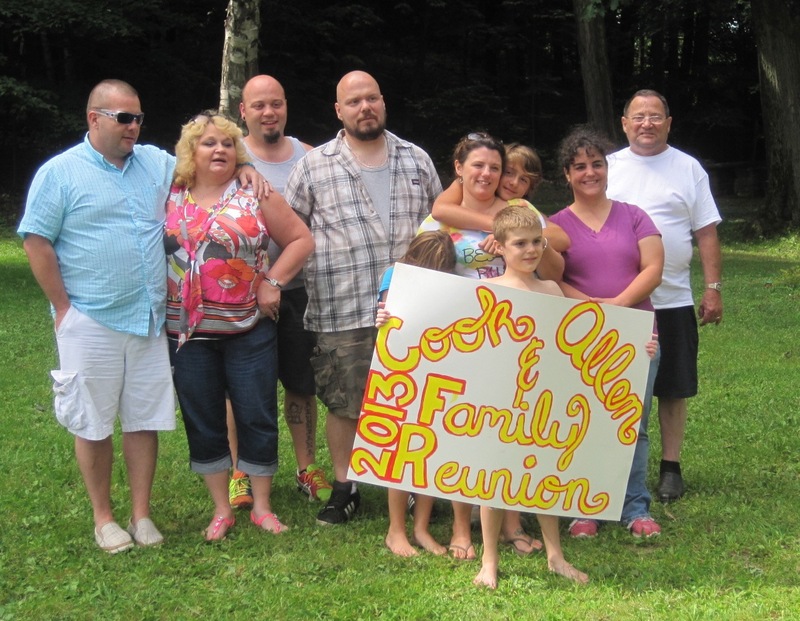 Above: The children and their families of Gail Cook Herrmann and Andy Cook who were at the reunion joined together for this photograph. 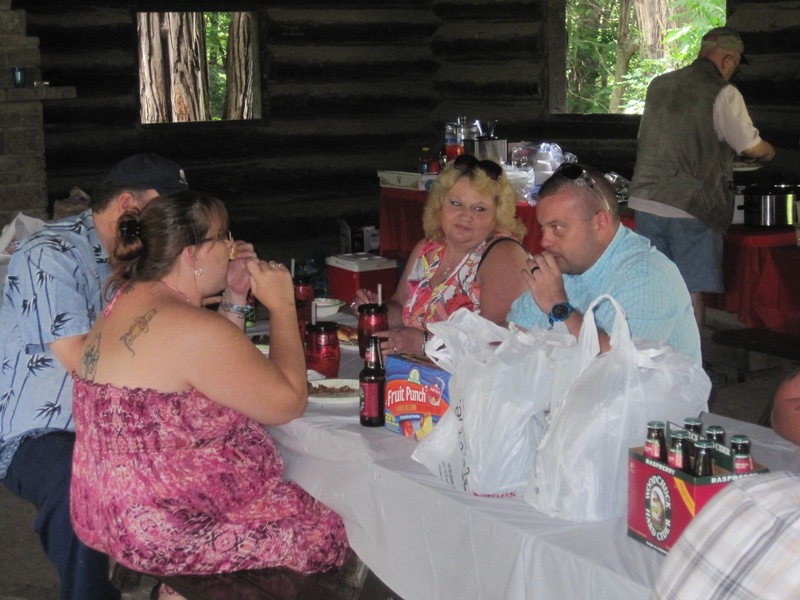 Below: Tom Cook,wife Anne and son Tom and family. 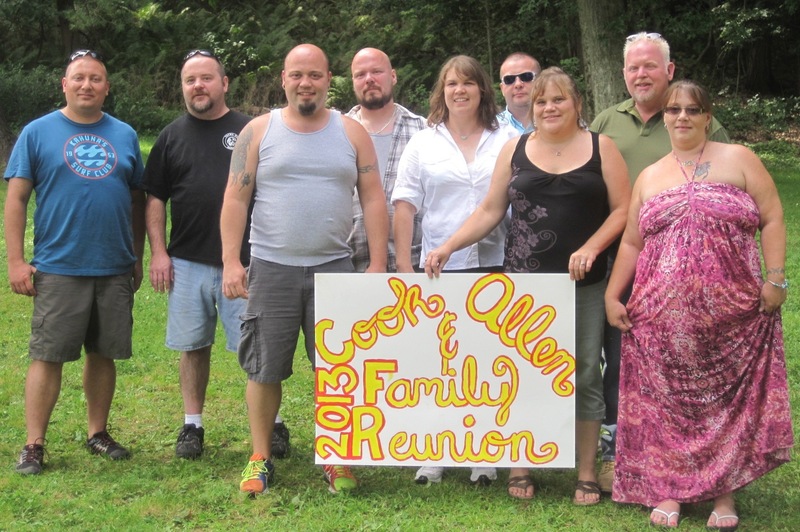 Above: The grandchildren of Stillman and Margaret at the reunion: Left to right - Tom, Andy, Matthew, Louie, Tina, Allen, Shelley, Phillipp, and Beth. 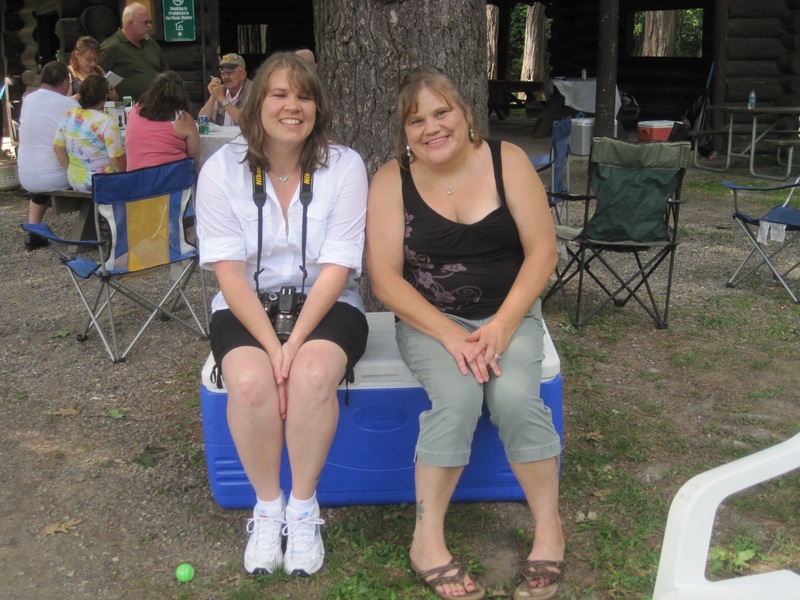 Below: Event organizers Tina and Shelley. 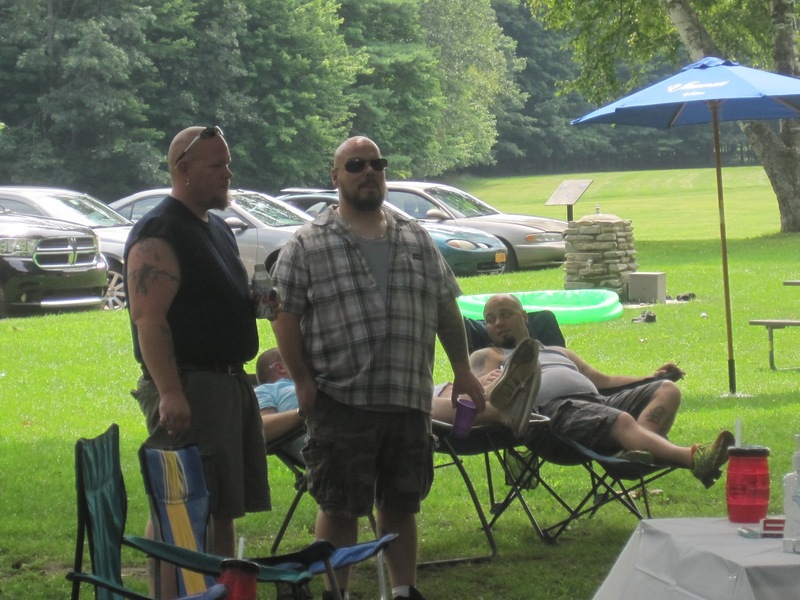 Below: Photographs from the reunion.